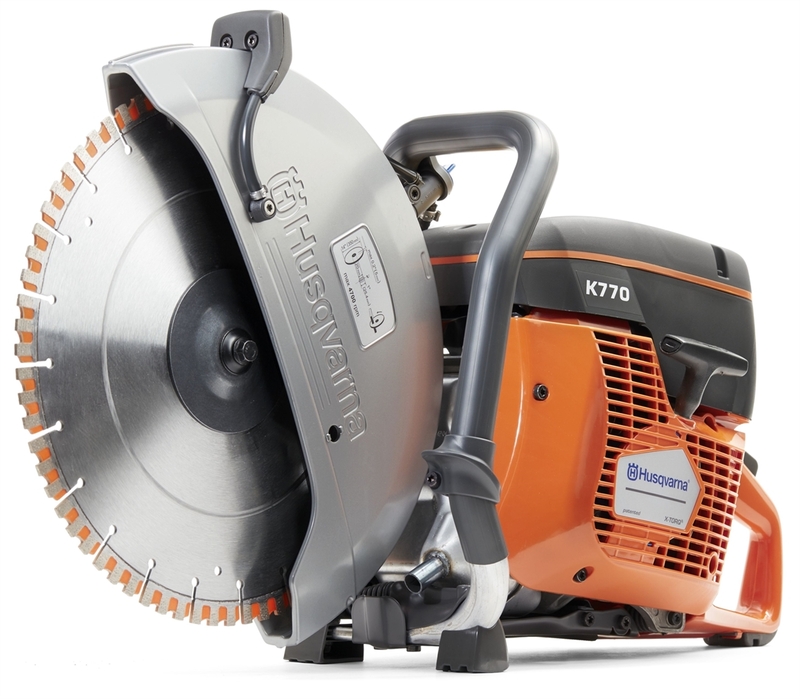 The brand new Husqvarna K770 disc cutter has been designed to exceed your expectations. If you are used to the reliability and market-leading build quality of the K760 models, you will notice the incremental improvements to the K770 machine. The key features are an improved digital ignition, even stronger cutting arm and a dynamic belt tensioning system. This incredibly versatile machine produces excellent results when cutting building blocks, kerb stones, asphalt and cast concrete.